Drivetrain Improvements – The electric motor has more juice this year, going from 10 kW to 15 kW, and there is a higher-voltage 144-volt Lithium-Ion battery pack. That jumps the horsepower up to 130 and the torque to 140 lb-ft, and also slightly boosts efficiency over the 2012 model year CR-Z. 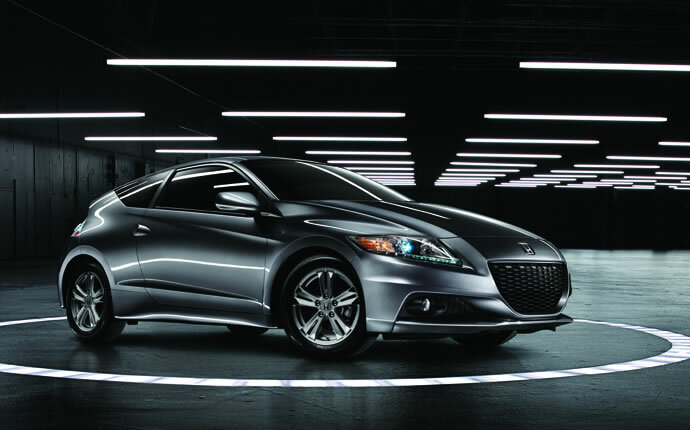 Exterior Styling Upgrades – The front fascia is completely new on the 2013 Honda CR-Z, and the rear diffuser is now a little more aerodynamic. The 16-inch alloy wheels also will get a new finish, and we’re offering two new exterior paint options for the vehicle: Passion Berry Pearl and Polished Metal Metallic. Interior Styling Upgrades – There is a new metallic trim on the doors, locks, center console, speaker grilles, and lower steering wheel spokes, which adds a certain level of class to the insides of this hybrid. The inner door panels have been redesigned as well, giving greater access to storage space in the door and adding room for a water bottle holder. 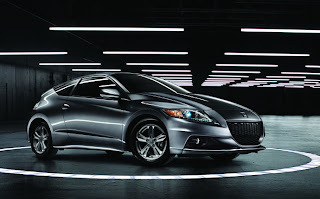 If you’re considering a 2013 Honda CR-Z, Lemon Grove area dealerships like ourselves would love to get you behind the wheel of one for a test drive. The changes in this year’s model are relatively minor, but they do boost the overall CR-Z experience. Why not find a way to love something you already loved, but just a little bit more? Much of the minivan segment's volume has been sucked up by the industry's ever-increasing appetite for crossovers, but a few major players are hanging in there, eager to serve as beasts of burden for America's families. Chief among those players is Honda, which is showing its revamped 2014 Odyssey at this week'sNew York Auto Show with a potential game-changing feature – an in-car vacuum. Co-developed with Shop-Vac, the HondaVAC system will come standard on the range-topping Touring Elite model. The system includes a replaceable filter and canister bag, along with a range of attachments located in the cargo hold. Honda says this first-ever feature includes a hose that is long enough to clean the entire interior. Better still, the vacuum will run for up to eight minutes after the vehicle is turned off, so you can get every last Cheerio out of the seat cushions, and it never needs plugging in or recharging, as it runs off of the vehicle's electrical system. In other news, the 2014 Odyssey gets a new aluminum hood and fenders to pair with its revamped grille and lower fascia. Headlamps get a more sinister look thanks to darker surrounds, and there are new LED taillamps out back, as well as revamped side mirrors on the doors. 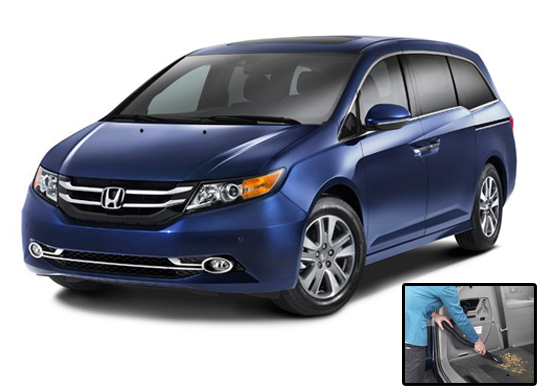 Underneath the skin, Honda says the 2014 Odyssey has received structural changes to help it ace the Insurance Institute For Highway Safety's new small-overlap frontal crash test, and it's also added active safety features like lane departure warning and forward collision warning to the optional features list. 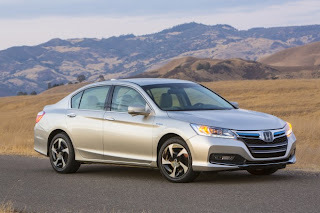 Honda has chosen to make no mention of any drivetrain innovations, so we assume it will continue to be motivated by a 248-horsepower 3.5-liter V6 powering the front wheels. Inside, existing Odyssey owners will note a revamped center stack and new trim finishes, along with available new features including pushbutton start, HondaLink cloud-based infotainment options with smartphone integration, HD radio and so on. Us? We just want to go spill some things and try out that vacuum. In the meantime, sit tight, kids – we'll have live photos of the new Odyssey from its New York debut before you can finish sucking down that sippy cup. To kick-off the 12th year of the Honda Civic Tour, Honda is asking fans to guess this year's tour headliner for the opportunity to meet the act in person. 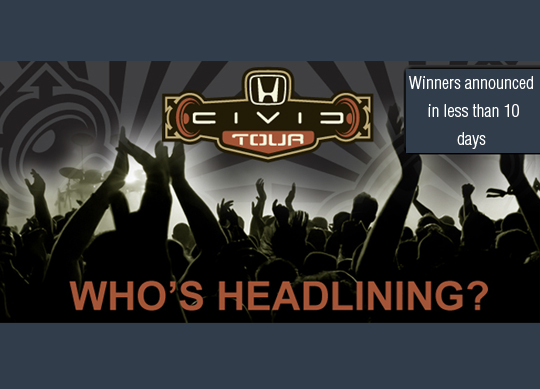 Starting March 21 at 9:00 am ET and running through April 1, fans can enter the 'Guess the 2013 Headliner' sweepstakes on the Honda Civic Tour Facebook page (www.facebook.com/hondacivictour). Additionally, all sweepstakes entrants receive a special pre-sale code redeemable for the purchase of up to four tickets* starting April 2. For more information on the Honda Civic Tour, visit www.hondacivictour.com or the Honda Civic Tour Facebook page atwww.facebook.com/hondacivictour. Adaptive cruise control is one of the coolest new safety technologies in the automotive industry. It works just like regular cruise control, except by using radar in the front end of the vehicle, it detects when you’ve reached an unsafe following distance and automatically adjusts your speed to create a safer gap between you and the vehicle in front of you. 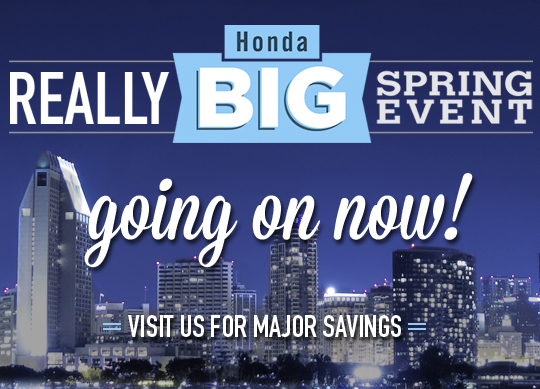 Make a trip down to Pacific Honda to see what kind of crazy savings are available during the Really BIG Spring Event! 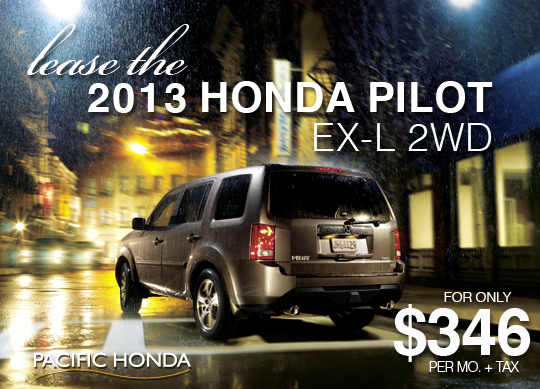 With such a large selection of great rides, Pacific Honda can put you in the car you want for the best price possible. Check us out online at: www.pacifichonda.com! When Lemon Grove Honda owners like yourselves read about “green” vehicles, you tend to think that the car’s “greenness” has everything to do with the efficiency of the engine. Maybe, if you’re really into how vehicles earn their miles per gallon, you might know about things like aerodynamics and tire inflation and so on, but for the most part, green cars, as far as most of us know, are the ones with the highest EPA numbers. In an attempt to help push vehicle safety to a higher level, the Insurance Institute for Highway Safetycreated a stricter Top Safety Pick+ rating last year, which incorporates a brutal small overlap test and requires cars to get Good ratings in four out of the five categories (and no less than Acceptable in the fifth). Joining the list of the safest cars of 2013, the 2013 Volvo XC60, Lincoln MKZ, Honda Civic (sedan and coupe) and the 2014 Mazda6 have all received the coveted TSP+ rating. The Mazda6 and Lincoln MKZ have both been completely redesigned, and both received Acceptable ratings in the small overlap test. 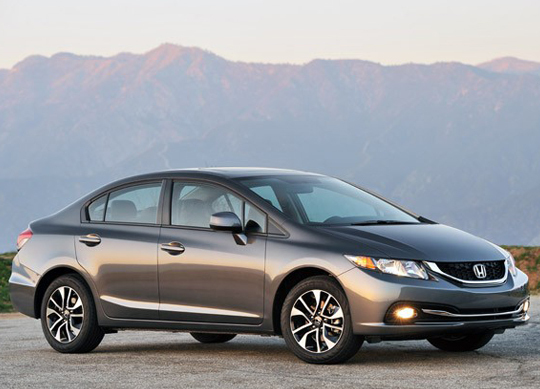 The Honda Civic, coming off its emergency refresh for 2013, is the first small car to be subjected to the small overlap test, and IIHS says that one of the car's many upgrades includes a stiffer front structure allowing it to receive Good ratings in all categories. Similarly, the XC60 gets all Good ratings thanks to, according to IIHS, Volvo updating the airbag software allowing the side airbags to inflate during the small overlap test. The 2014 Subaru Forester has not yet been subjected to the small overlap test, so it must make do with justa Top Safety Pick rating until the IIHS tests small utility vehicles, which is expected to happen later in the spring. 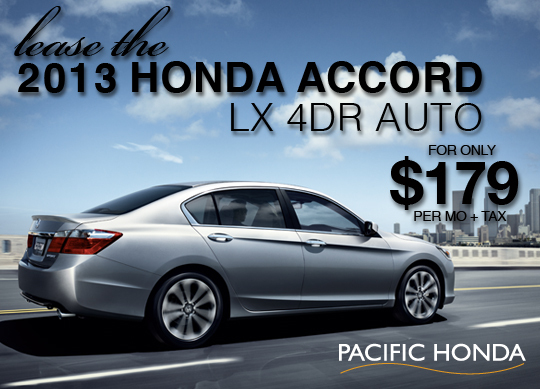 Your friends at Pacific Honda have all new options to lease or finance brand new cars, like the 2013 Honda Accord LX 4DR Auto for only $179 a month. With a great selection of rides and payment options, you don't want to miss out on all of the great deals going on this month. 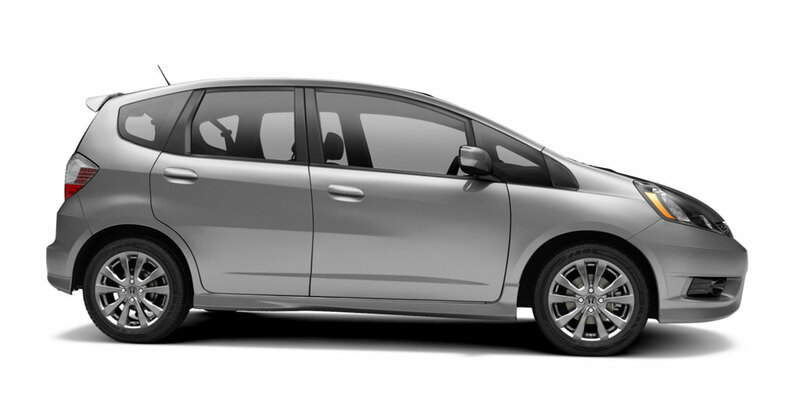 Stop by for a test drive or visit us online at www.pacifichonda.com to see which vehicle is right for you! Thanks to the internet, potential new car buyers can do a quick Google search at any time and justify the purchase of pretty much any make or model vehicle because some website somewhere listed it on some praise-spewing top ten list. Don’t get us wrong; we are in no way against these lists because our vehicles are featured on a whole lot of them, but the sources behind these write-ups aren’t always the most reliable. 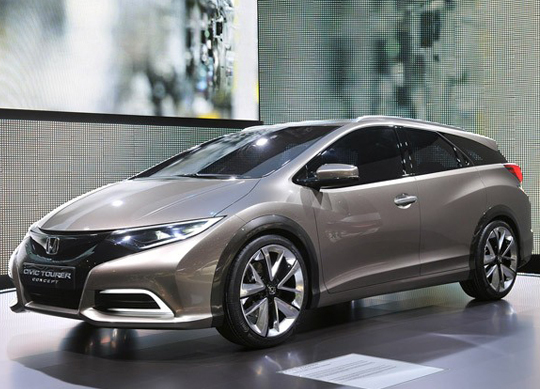 Honda will be expanding its European Civic range this year, and our first glimpse at the shape of things to come arrives in the form of this Tourer Concept at the 2013 Geneva Motor Show. According to Honda, this swoopy concept provides a look at the upcoming Civic Tourer production model, which is set to be revealed in Frankfurt this September. The Tourer Concept very obviously builds on the design groundwork set by the latest Civic hatchback when it first debuted in 2011. That means there are sharp, angular elements found up front and a sloping roofline that rakes down at the rear. Combine that with the large, concept-spec wheels and the funky front lighting elements, and what we have here is a really attractive little wagon – something that will no doubt battle the new Toyota Auris Touring Sports and Volkswagen Golf Variant that are also making their debut here in Switzerland. 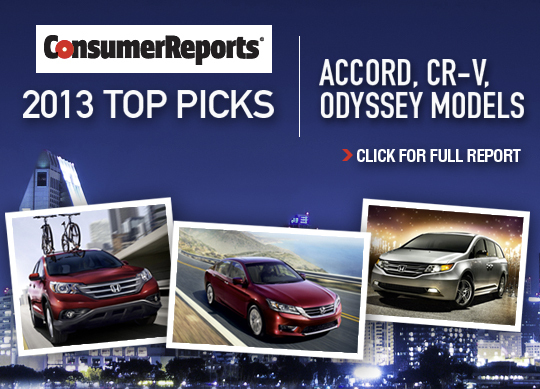 Honda jumps back on top with the Accord, CR-V, and Odyssey landing in the top picks for Consumer Reports in 2013. Don't forget to stop by Pacific Honda to test drive any of these great cars, and click the image below to get the full report!